Cardiac cachexia is a syndrome of progressive skeletal muscle and fat loss affecting a significant number of congestive heart failure patients. With the potential detrimental effects of cardiac muscle wasting, greater attention is needed to understanding the prevention and treatment of the condition. Potential therapeutic approaches are aimed at the various mechanisms for the pathogenesis of cardiac cachexia including neurohormonal abnormalities, immune activation and inflammation, metabolic hormonal imbalance, and gastrointestinal abnormalities. While there are no current guideline-recommended treatments for the prevention of cardiac cachexia, targeting an imbalance of the renin-angiotensin-aldosterone system with beta-blockers, angiotensin-converting enzyme inhibitors, and angiotensin receptor blockers appears to be the most well-studied therapeutic approaches. Treatment of inflammation with monoclonal antibodies, hormonal imbalance with testosterone, and nutritional deficiencies with appetite stimulants has also been suggested. 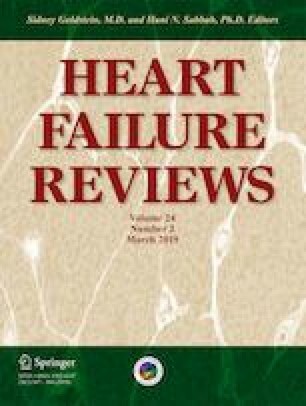 Proposed therapies may prove beneficial in heart failure patients; however, further studies specifically focusing on the cardiac component of cachexia are needed before definitive therapy options can be established.